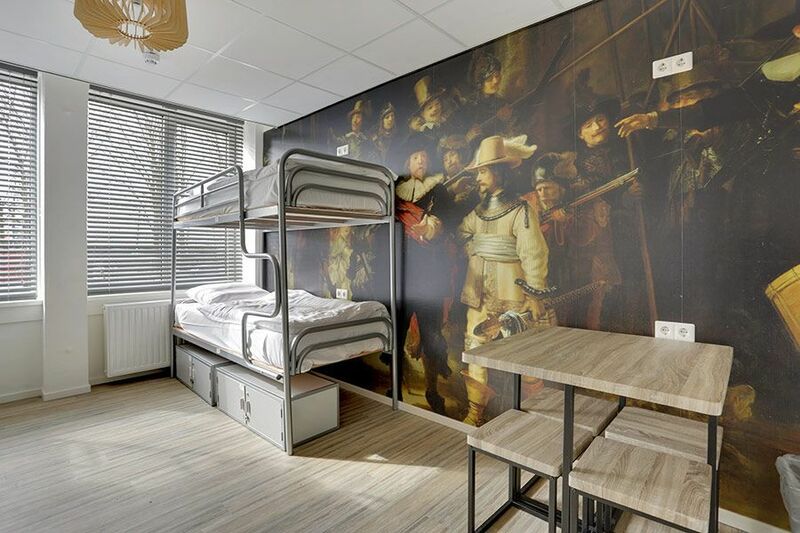 Dutchies has big and comfortable rooms that are beautifully decorated. 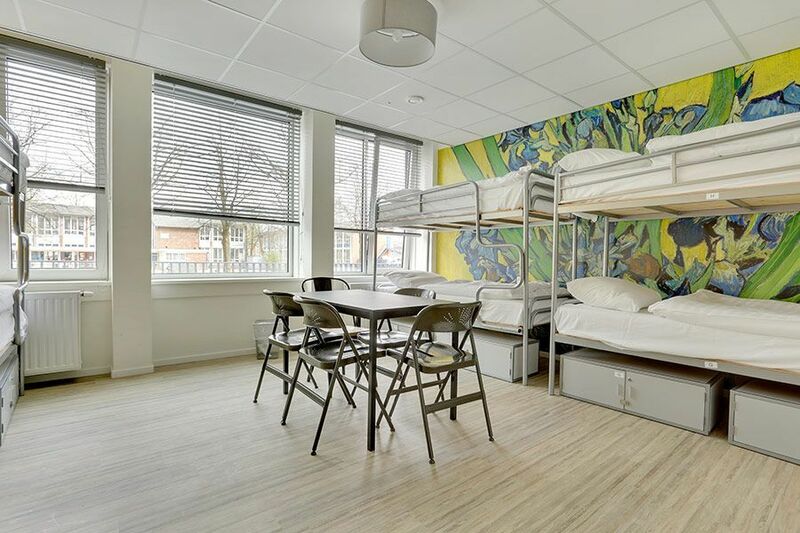 Dutchies offers 6-, 8- and 10 bed mixed and female dorms. All rooms have a different theme. We have an Audrey Hepburn room, Red Light District room, football room, Dutch Royalty room, Van Gogh room and many more. Each bed has its own locker and power sockets. 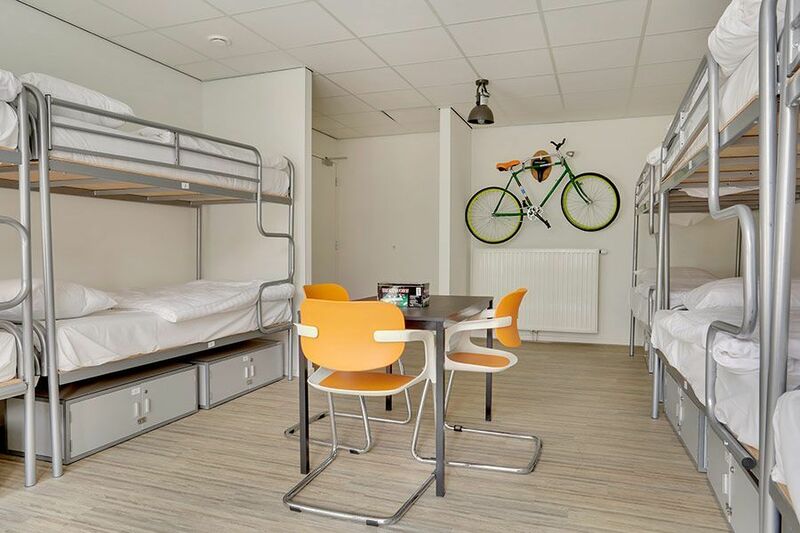 The entire hostel is located on the same floor, so all dormitories and common areas are easily accessible. We are on the ground floor, so there is no lift nor stairs. Toilets and showers are shared and can be found outside of the rooms in the corridors. We have separate male and female showers and toilets. 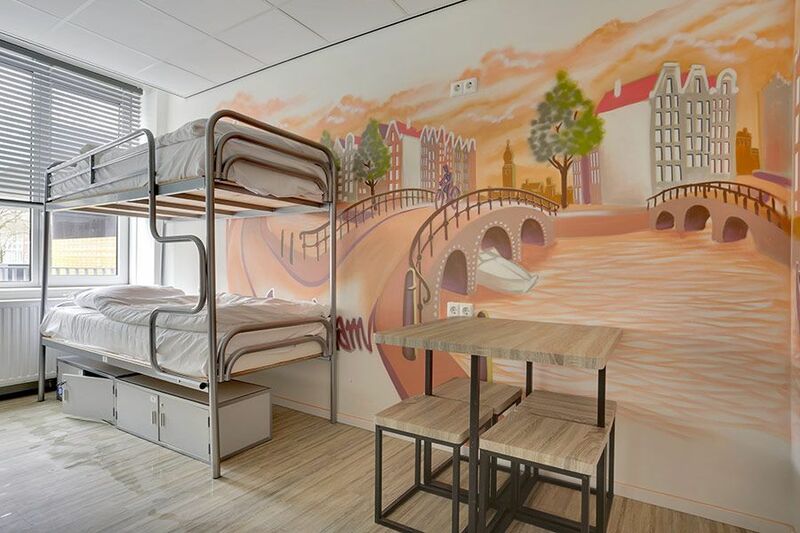 There is free WiFi all throughout the hostel, so you don’t have to leave your room to get a good connection. Would you like to look around in our Hostel? Yes, take the virtual tour!